Wine pump over, also referred to as ‘remontage’ in France, is a process in which red wine juice is pumped from the bottom of the fermentation tank through a hose and then sprayed and splashed over the top of the grape cap must in order to bring the juice in contact with the skins so the color, flavor and aromas can be extracted from the skins into the juice. The wine pump over process is usually employed in large closed and open top red wine fermenters during the main red wine fermentation process. Pneumatage, or also simply known as ‘pulsair’, is a similar process in which the wine juice makes contact with the wine cap but differs in the fact that the wine juice is brought up and over the cap through the use of pulsing large burst of compressed air through a stainless steel mixing probe or fixed injection port probes near the bottom of the wine fermentation tank. The rising bubbles break up the cap into individual berrries and the wine juice spills up and over the top. While at the high level, the two process accomplish the same thing: cap management, there are so many more advantages to the winemaker during this critical wine making process. Turn caps faster. 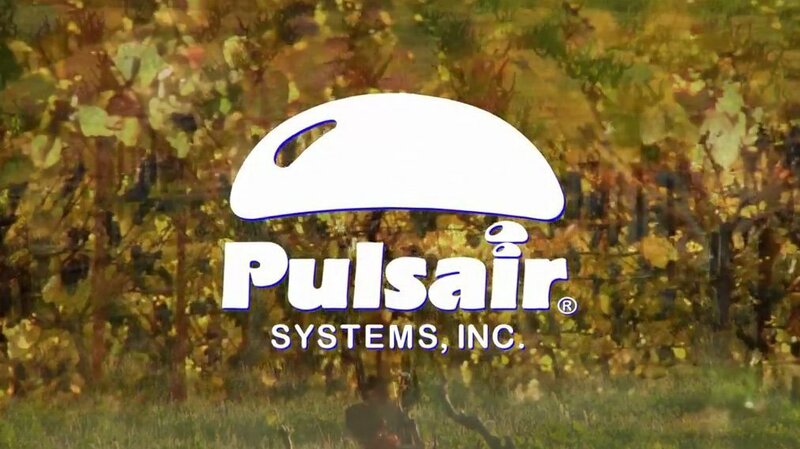 Winemaker who are using Pulsair in 40 and 60 ton fermenters have reported they can manage and turn the cap in 5-6 minutes using Pulsair verses 45-60 minutes when using the wine pump over process. The Pulsair pneumatage process breaks the cap into individual berries allowing for each grape to do it’s part. Wine pump overs can produces channels where the wine juice travels back down through missing the rest of the cap entirely. Replace pump-over cold soaks with Pulsair and inert gases.